The day started with a scoop shower, actually the first scoop shower in fourteen days. This must be a record for me, having had running water every day for fourteen days in a row in Congo! Here at Lisanga it is a rule more than an exception that we have either power or running water, seldom both at once. At the moment the running water seems to be coming back, but the power went away this morning. Thanks to the solar cell lamps we brought, I am able to write these lines. The lamps are invaluable. Amazingly, at 8.15 p.m. the power came back. Today, we had breakfast here at Lisanga, at the restaurant. We had omelet, baguettes with peanutbutter or ordinary butter and tea. We missed the porridge, and Julienne and Ing-Marie went to the restaurant kitchen and asked if we could have porridge tomorrow. The kitchen personnel were not pleased, but they promised to asked their superiors if our wishes could be granted. 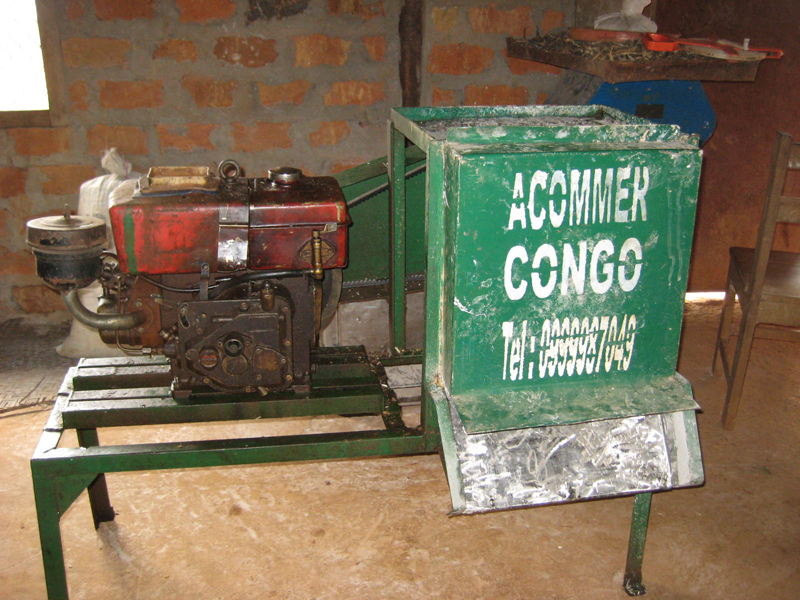 We understand now how important porridge is in Congo, considering the high level at which the issue must be resolved. At nine o’clock I went to Yapeco’s Internet café and uploaded some pictures for the blog. Then we headed for Nsanga, a drive of 30 kilometers. In Nsanga we bought soft drinks at Julienne’s very fine pharmacy, and then we went to the house of Julienne and Clement. In Nsanda, they live in a very frugal house. The ceiling height is low, you can just about stand headlong. The house gives you shelter, but there are no windows, just holes in the walls. The only item that is up-to-date is a cord lamp in the larger of the three rooms. There, the peanuts are stored, the first harvest of Nsanda. 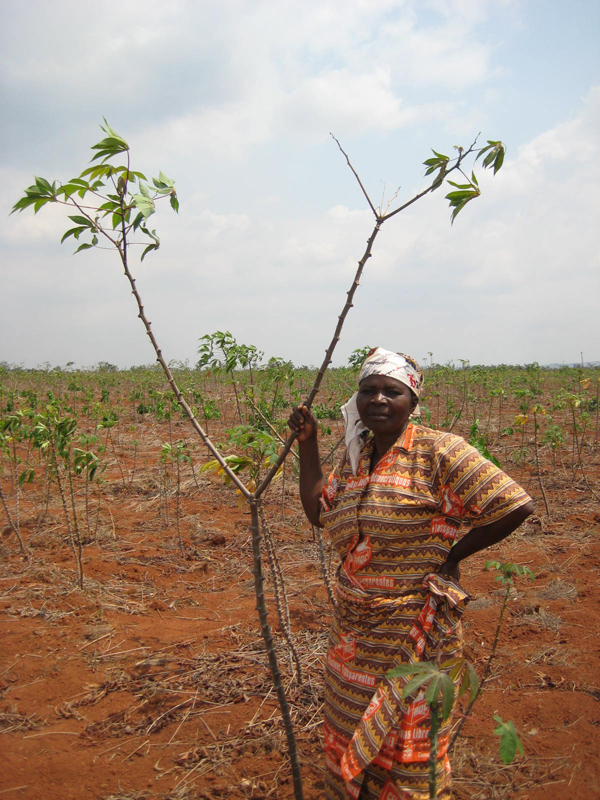 A normal harvest would have given 5 000 kilos, but because of the draught, we got 900 kilos. 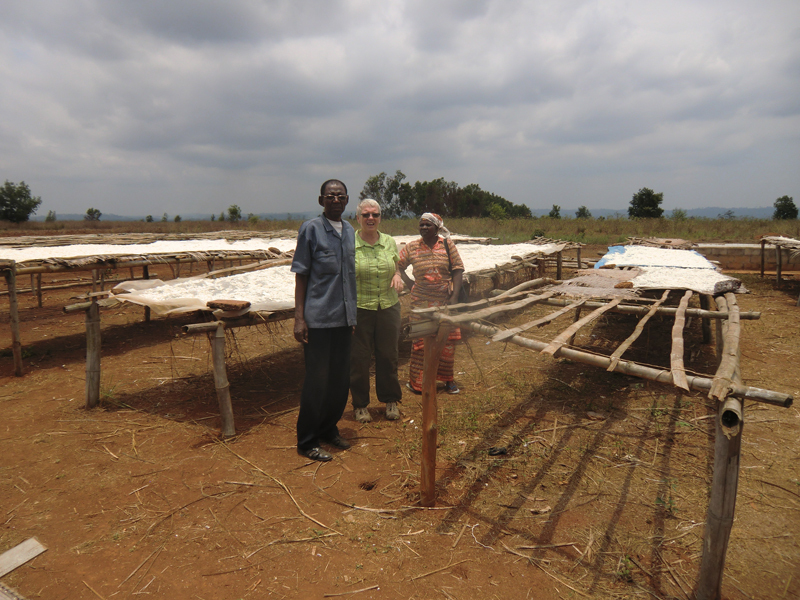 Most of the peanuts will be sold, and will form the first income from our farm project. Earlier, we have sold a small quantity of piripiri. We have one hectar of piripiri and it is irrigated. It has begun to give a yield and will be providing a harvest for three years. The distance from Nsanda to the farm is 14 kilometers. 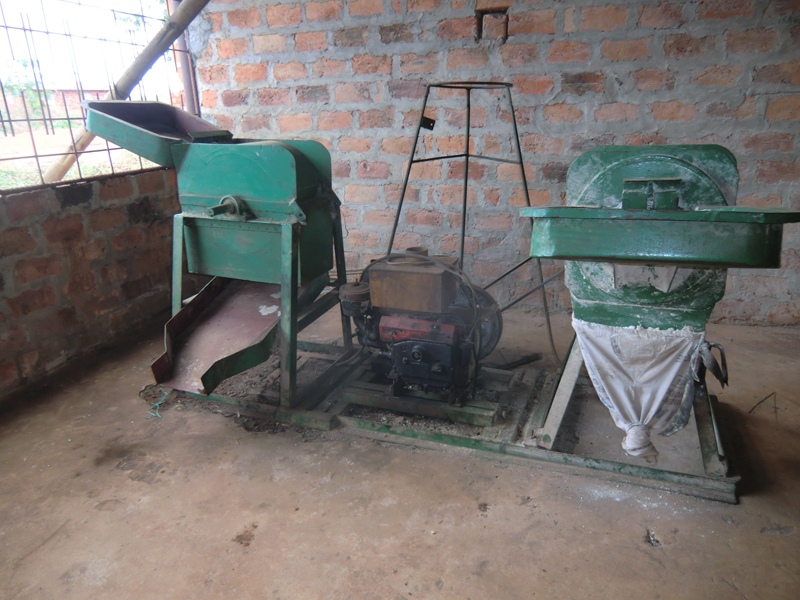 The first thing we looked at in Nsanda was a neighbour’s processing workshop for manioc. 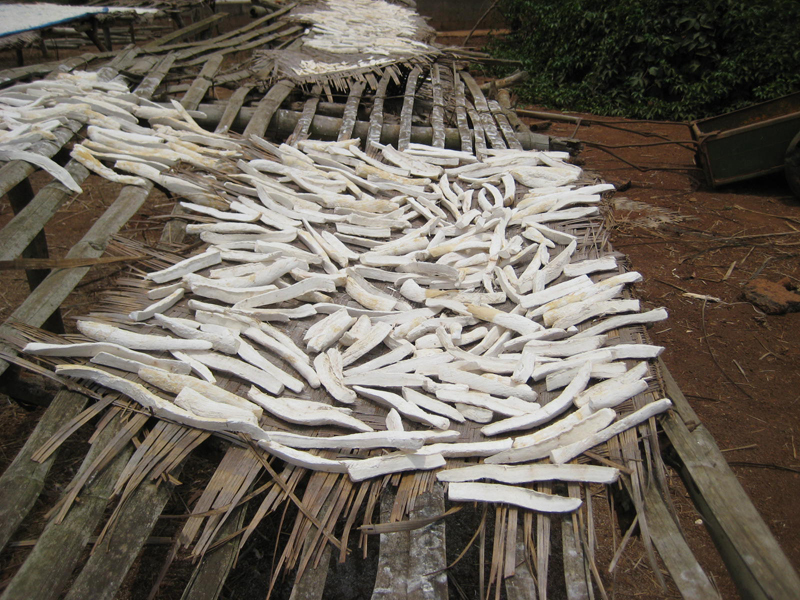 The manioc is peeled, soaked, washed, dried and grated to manioc flour, which is then used for foufou. Foufou and kwanga, another nutritious foodstuff made from manioc, are the most common foods in Congo. 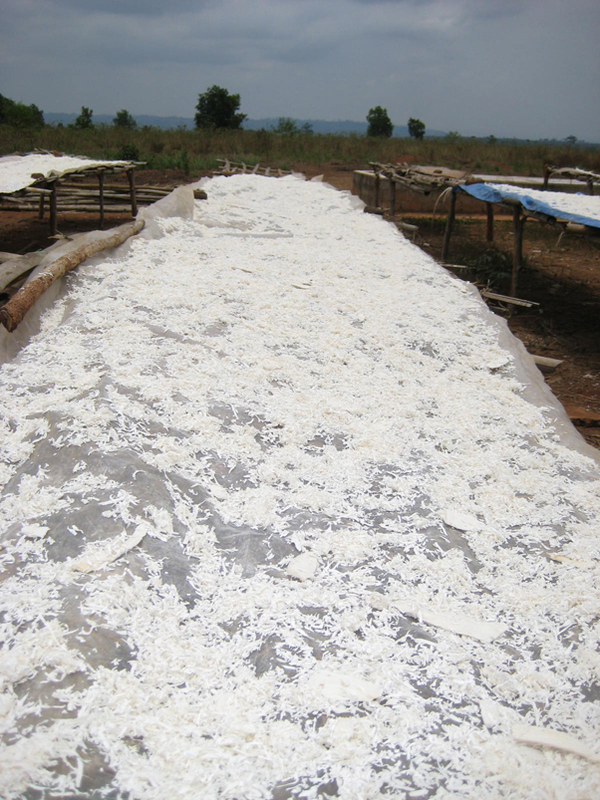 A byproduct in the process of making manioc flour, is something that is similar to potato flour. 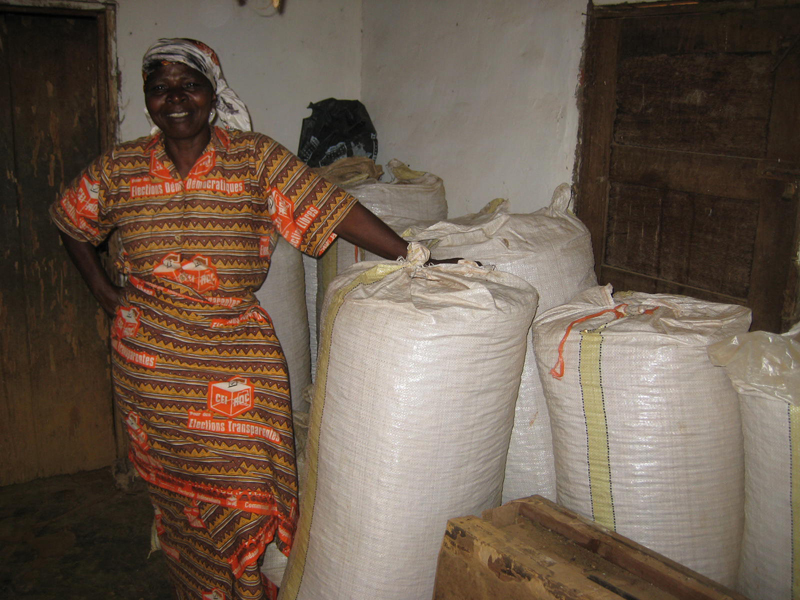 The manioc flour is sold in 30-kilo bags and fetches a good price. 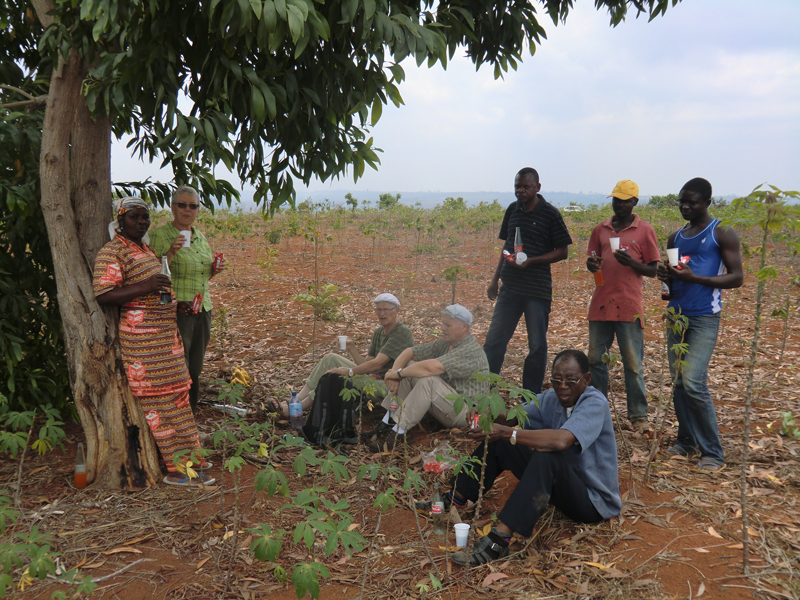 After this visit, we went to our own manioc field. When we arrived we were ready for something to drink. The shade of an acacia tree gave us the perfect place for our break, and the snacks and beverages were fine. Thanks to light vinds the temperature was reasonable. We inspected the manioc field, an area of 8 hectares. The field looked ok, but it will need plenty of rain in order to give a good harvest. So far, we have only received a few showers of rain, and we hope that the seriously rainy season kicks off soon. 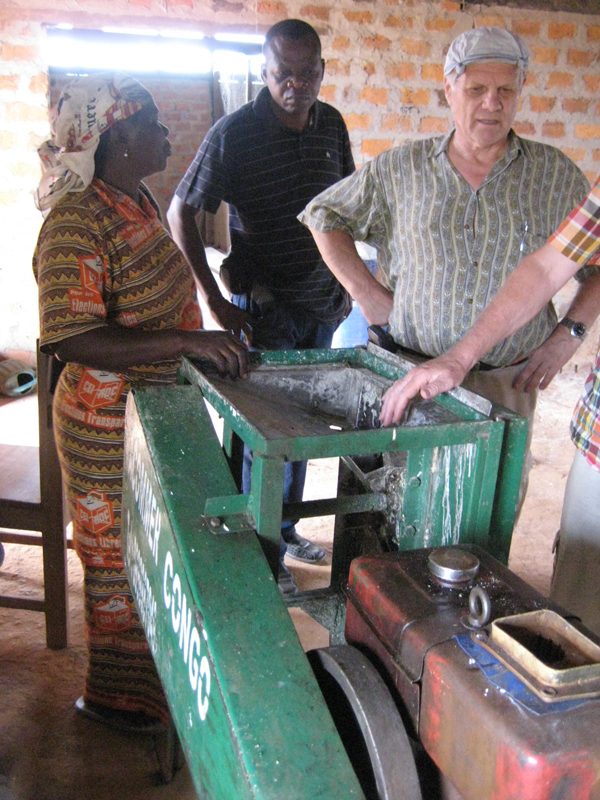 On the way back, in Nsanda, Bengt and Bernt checked Nyambudi’s Toyota Jeep. They realized that the generator and it´s regulator haven’t been working the way they should have. Because of this, the new battery has been ruined. The Jeep must be parked in a downhill slope to get the engine going. Furthermore, it produces a lot of smoke when it pulls. The generator of the tractor seems to be broken as well. Most things in the world need good maintenance if we want them to be of any joy to us. Reparations can become painful in one way or another if maintenance is neglected. The trip back to Matadi made us quite sweaty. I had another scoop shower, and then we went to Yapeco and Augustine by 4 o’clock. The dinner was ready, and consisted of fish, rice, manioc, beans, salad and for desert; bananas. We were hungry and the food was delicous. 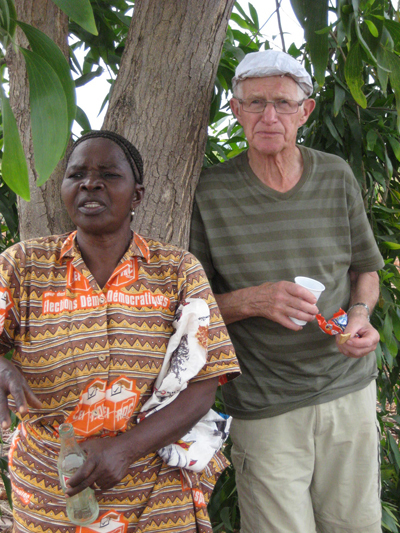 Back home at Lisanga, after a siesta, we discussed what we had done and seen during the day. And then I wrote my blog entry.